An arrangement filled with love! 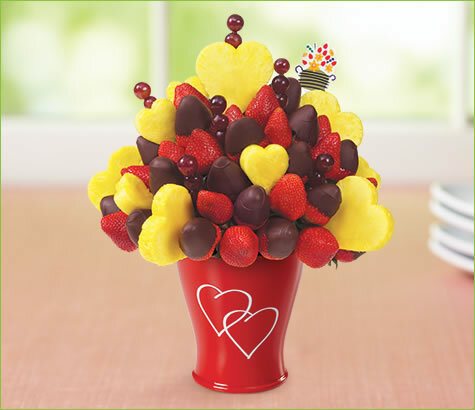 Hearts & Berries® is beautifully designed with juicy pineapple hearts and half of the strawberries dipped in gourmet chocolate. Arranged in a keepsake ceramic container. Container may vary.